The officer who died spent nearly three weeks in critical condition. 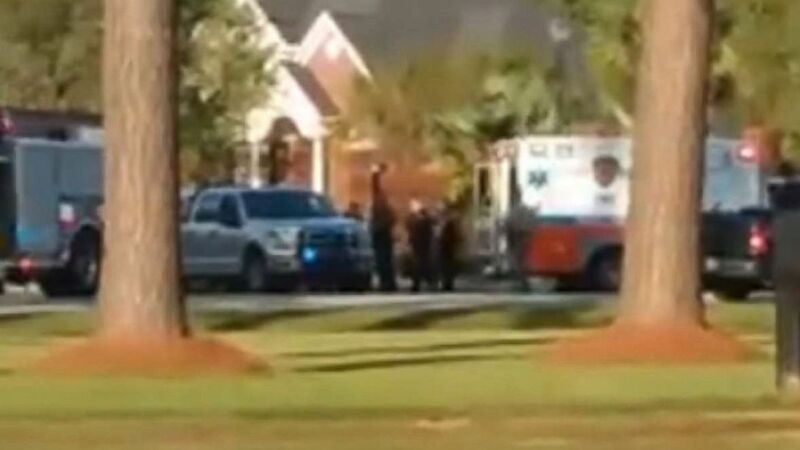 A South Carolina police officer died on Monday, succumbing to injuries she sustained in a deadly standoff earlier this month. Farrah Turner, a Florence County Sheriff’s Office investigator, died after spending nearly three weeks in critical condition, battling to recover from an Oct. 3 incident in which a man opened fire with a high-powered rifle, killing an officer on the scene and injuring several others. "Farrah was the ultimate professional, excelling at everything she did," Florence County Sheriff Kenney Boone said in a statement. "She dedicated her life to serving the victims of the worst crimes imaginable. Please pray for Farrah's family, our FCSO family and for our community as we mourn her loss." 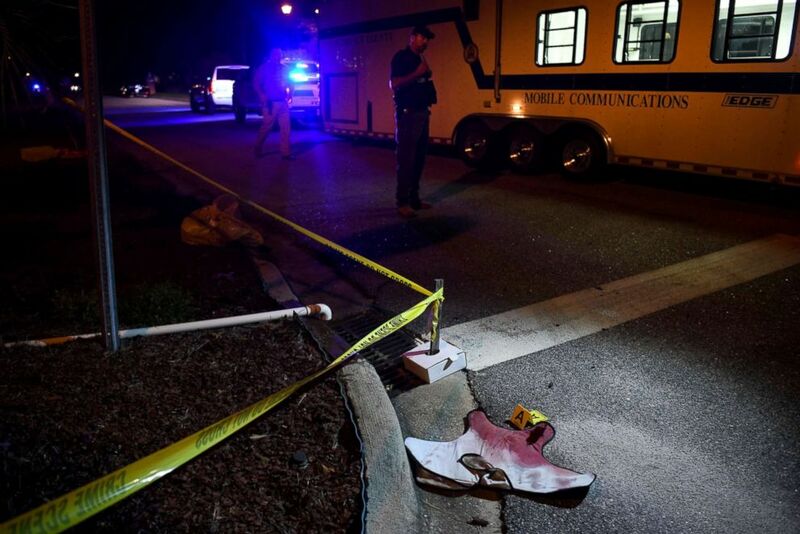 (Sean Rayford/AP) Blood-soaked evidence lies on Saxon Drive in the Vintage Place neighborhood where several members of law enforcement were shot, one fatally, Oct. 3, 2018, in Florence, S.C.
Florence Police Department veteran Terrence Carraway, 52, also was killed in the shooting. Authorities initially charged 74-year-old Frederick T. Hopkins Jr. with murder and attempted murder in the wake of the shooting. On Tuesday, the Richland County Sheriff's Office announced that the attempted murder charged was upgraded to murder, in connection with Turner's death. Hopkins allegedly fired multiple shots from inside his home when the officers arrived to serve a search warrant in connection with a sexual assault case, police said. Authorities said they were planning to interview Seth Hopkins, the suspect's son, when they were ambushed. Seth Hopkins, 27, was charged with criminal sexual conduct in the second degree after the shooting. Richland County Sheriff Leon Lott, who assisted with the investigation, called the shooting "the largest crime scene" he had ever seen, requiring the assistance of officers from nine surrounding law enforcement agencies. (Derek Lowe) Police are seen outside a residence where a reported shooting took place in Florence County, S.C., Oct. 3, 2018. The funeral for Carraway, a 30-year police veteran, was held about a week after the shooting. Arrangements for Turner will be disclosed as soon as possible, the sheriff's office said.